I clicked the "attack" button in order to attack a group of zombie pigmies when I suddenly died. The screen showed the title of game over and the text "You died in combat", but I didn't even managed to start the combat. I was near (or inside, I don't remember) a poison cloud. Could it had have something to do? PD: Also, everytime I clic on the button "open report", some zones of the map that were unexplored are revealed to me. When I returned to the main menu, I saw the option to load a save game, so I clicked the button, and I was exactly in the same position just before attacking the zombie pigmies. Edit 2: It was beautiful while it lasted. 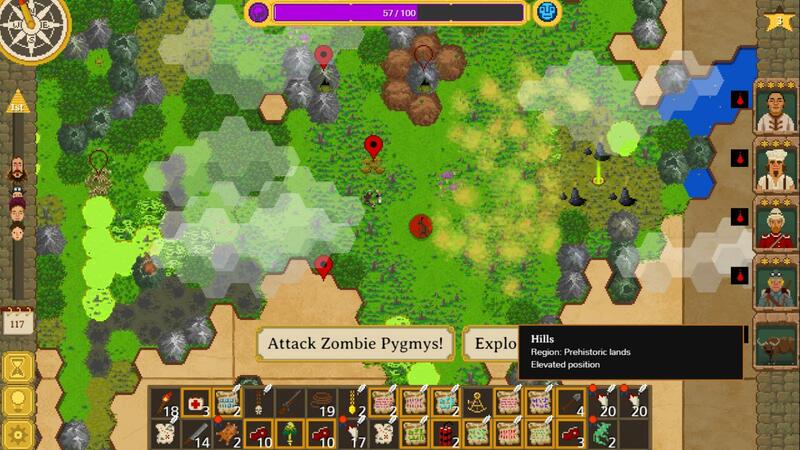 I attacked the zombies pygmies again, and AGAIN the "game over" screen appeared. I returned to the main menu but I couldn't load the save game once more. I wish I could have that savegame to look into this. I see that all of your characters are bleeding, do you remember how much HP all of them had? I'm adding this to our bug tracking. It's possible that you just had the perfect timing to game over the exact same turn you started combat. No, I don't remember their HP. I only use the medkits when the wounds get infected and battling with the zombie pygmies is easy, so I wasn't very concerned about their life points. And feeling it a lot, but i don't have the savegame. I started a new game so I think it is long gone now. By the way, thanks for taking your time to respond.